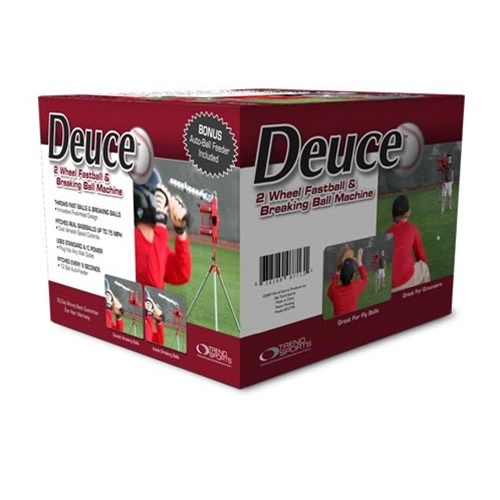 The Heater Deuce 2 Wheel pitching machine is a Variable Speed, Heavy Duty Two Wheel Baseball Pitching Machine that throws fastballs and curveballs. 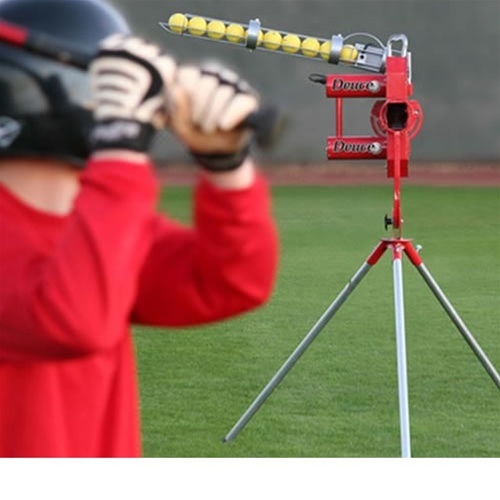 With its innovative Pivot-Head design, you’ll be hitting outside breaking balls, inside breaking balls, and fastballs like a pro. 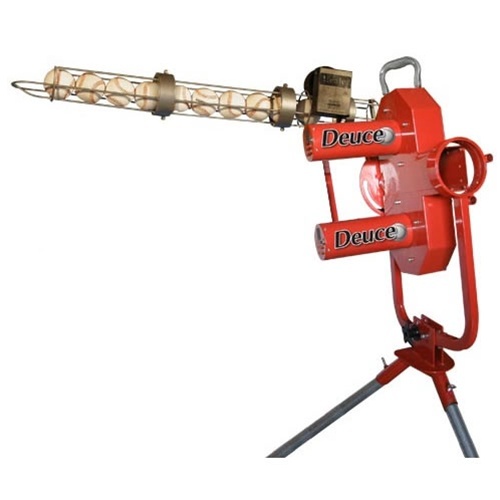 The Deuce also includes an automatic ball feeder that holds 12 baseballs. The Deuce plugs directly into any standard wall outlet or use it with the optional RollingPower battery pack when convenient. Dual speed controls allow you to adjust each wheel independently for a variety of pitches at speeds of up to 75 MPH.